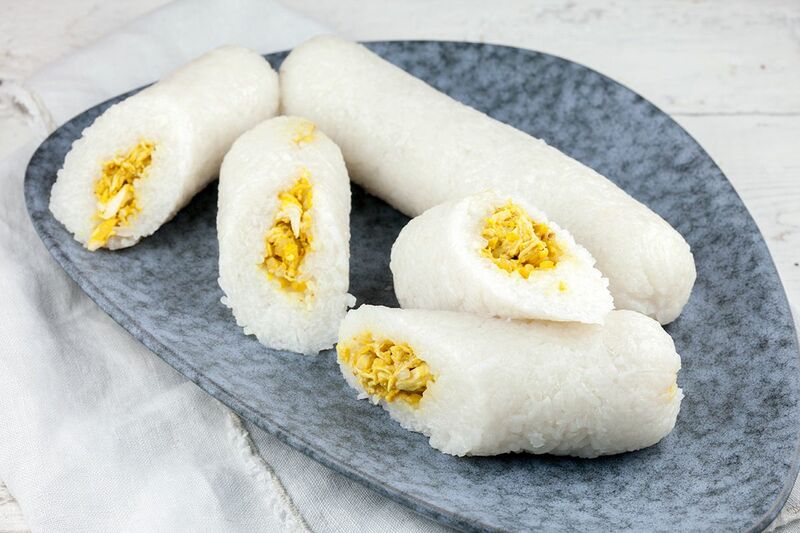 You've probably have seen lemper ayam at an Asian supermarket. 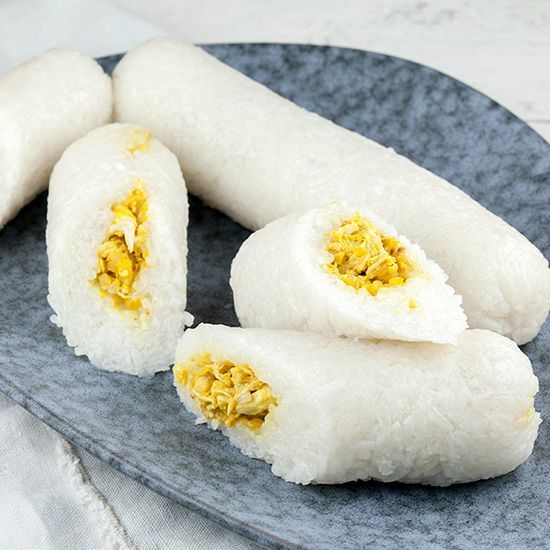 Sticky rice with chicken filling, super delicious! But you'll need time and patience for it. Note: its recommended to soak the sticky rice for a few hours, or a whole night in a decent amount of water. START by preparing the sticky rice. SOAK the rice for a few hours in a decent amount of water. DRAIN the rice and rinse with water. POUR a small layer of water in the medium-sized pan and add the rice into the sieve. MAKE a small pit in the middle of the rice and steam for half an hour. Meanwhile CREATE a tasteful water by combining 300 ml of water with 4 tablespoons of coconut cream, lime leaves and salt to taste. BRUISE the lemongrass to release its flavor and ADD it to the water. Bring the water to a boil, turn off the heat and set aside. Meanwhile FILL the second pan with water and bring to a boil. 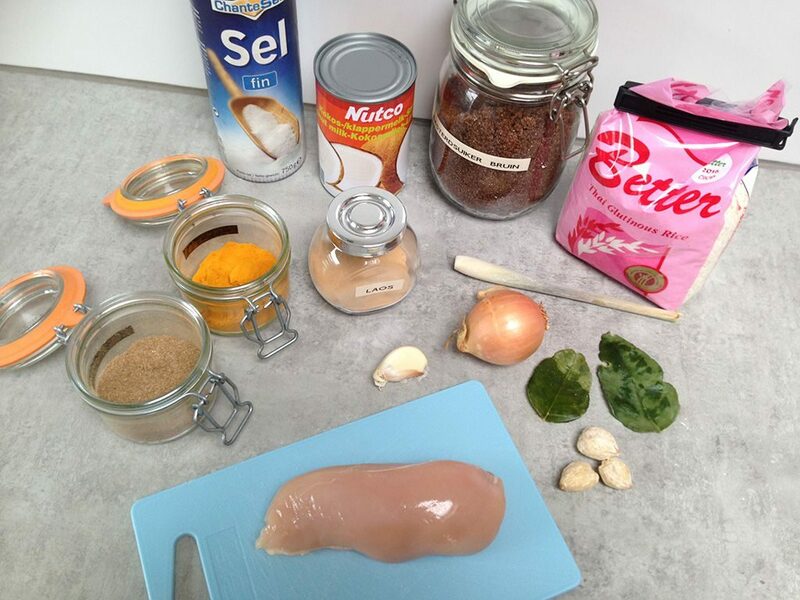 COOK the chicken fillet for about 10 minutes, depending on the size. CHOP the kemiri nuts and roast them in a dry skillet until they’re brown. PEEL and chop the onion and garlic cloves and ADD them to the mortar along with the turmeric, ground coriander, laos and roasted kemiri nuts. GRIND until you’ve reached a smooth paste. REMOVE the lemongrass and lime leaves from the water. TRANSFER the steamed rice to a boil and POUR in the water. COVER with cling film and let the rice absorb the water completely. STEAM the rice for another 30 minutes and then TRANSFER it to the bowl again and let it cool off completely. Meanwhile use 2 forks to create pulled pork. HEAT a bit of oil in the skillet and sauté the paste from the mortar for a few minutes. ADD the pulled chicken and season with salt. Let the filling cool off completely until its ready to roll. For the rolling part, it’s recommended to wear cloves or make your hands wet. 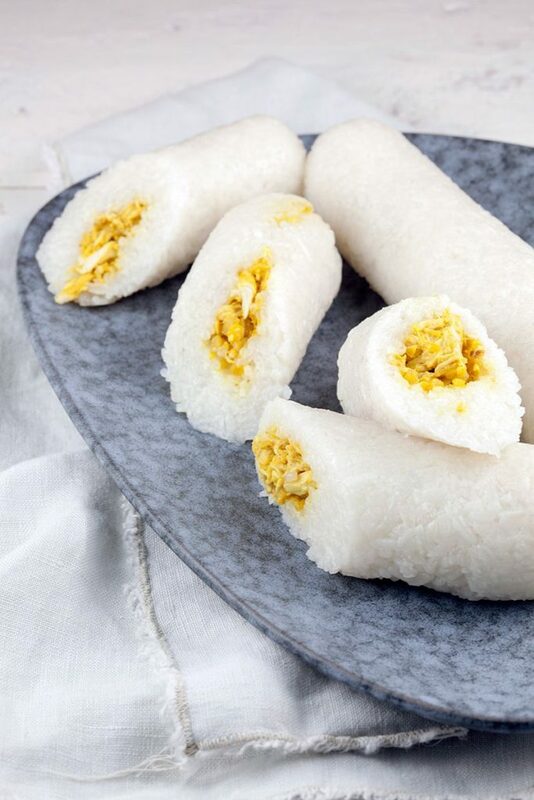 PLACE a piece of cling film on the work surface and DIVIDE a handful of sticky rice on top. PRESS it downwards, until you’ve reached a flat rectangle. PLACE a line of chicken filling in the middle and close the package. You can also use a sushi mat if you like, make sure the lemper is closed and wrapped tightly. Enjoy!